F&B Edition Worthy Book 2015/2016 is back again! F&B Edition Worthy Book is back again for 2015/2016. If you are new to this worthy book, let me tell you a bit more about it. The F&B edition worthy book is a food guide + voucher booklet that gives you meals discounts and deals at some of the popular F&B eateries. This year, the brands included are 3 Little Pigs & The Big Bad Wolf, A Pie Thing, BBQ Chicken, Blackball, Brotzeit, Capricciosa, Carl's Jr., Dal.komm, Deutsches Haus,Madame Waffle, MyBurgerLab and many more. The book is easy to carry, it is just the size of a A5. I just throw it inside my bag wherever I go, not to miss out the deals just in case I bump into one of the eateries listed. 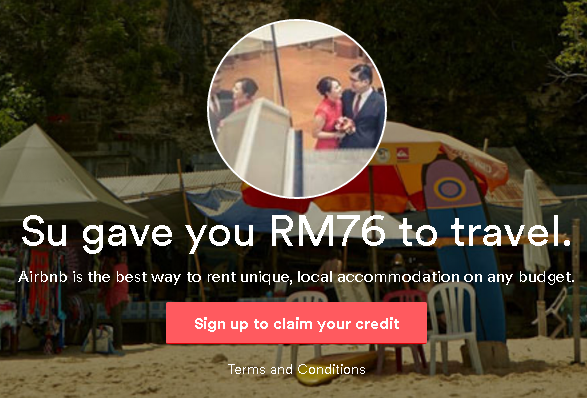 Let's check out the deals vouchers that I have used for the week and amount I have saved! We used the RM 5 off voucher for spending around RM 30. More than 16% save on our lunch on Thursday. Saturday lunch, we went to Kluang station. We managed to use the voucher again for a 20% discount off the total bill. I saved a total of RM 8.54 for my lunch. The amount saved doesn't seem very significant because the amount we ordered wasn't big enough. 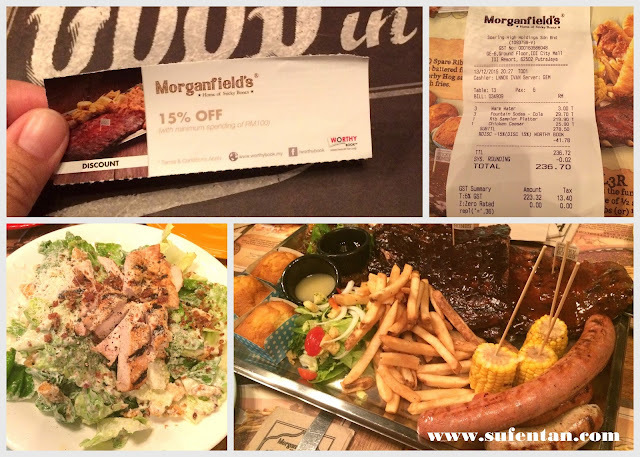 So on Sunday, I met up with my friends at Morganfield to have dinner. We ordered a big platter and salad to share as the portion is big. I used the 15% discount voucher from the worthy book and this round we saved about RM 41.78 from the bill. 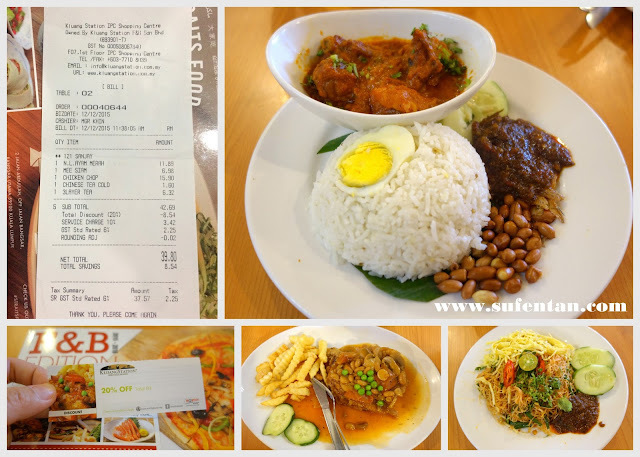 In total of three meals, we have saved around RM 55.32 for the week. I only uses three vouchers from the book, imagine if I continue to use around 20%-30% of the vouchers, I can save more than I can imagine. There is a deadline to the vouchers, it is until 30 September 2016. I still have 10 months to go for more saving! Are you excited like I am now? If you are food lover like I do and non stop visiting eatries weekly like me, I would reckon to get this book to give you some saving. The F&B edition worthy book is selling RM 29.90 online here. You can also get from all major bookstores (MPH, Times, Popular, Borders and Kinokuniya), myNews.com and 7-Eleven outlets in Klang Valley.